We all love to breathe in the fresh aromatic air when we come into our home especially after a not so cool day. Different aromas build up a different effect on our senses. Home fragrances even helps in cutting away the fowl smell that sometime comes from bathrooms and kitchens. The moment you step into your room and all you could sense is that beautiful fragrance coming from that small aroma jar. 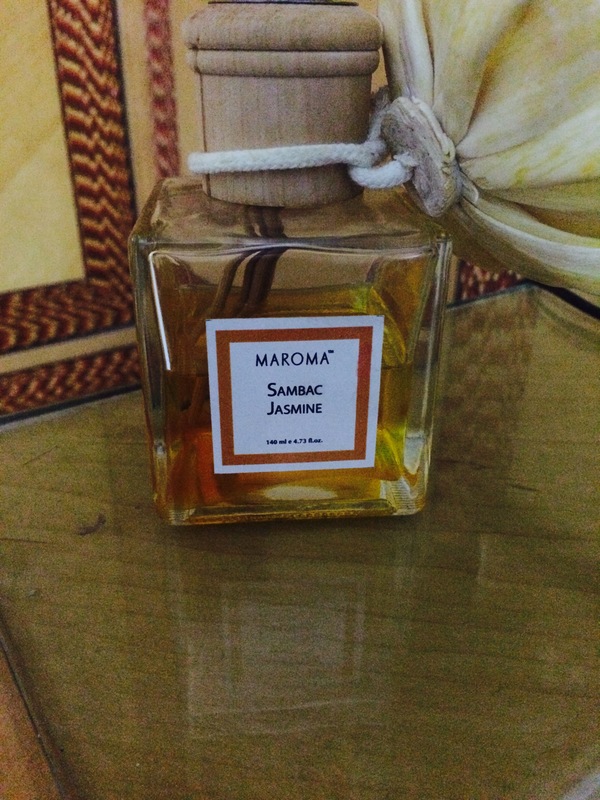 Sambac Jasmine is a species of Jasmine native to a small region in the eastern Himalayas in Bhutan. It is widely cultivated for its attractive and sweetly fragrant flower. I bought this from Visitor’s Center, Auroville , Puducherry. They have a varied collection of home fragrances but this one wooed my senses. 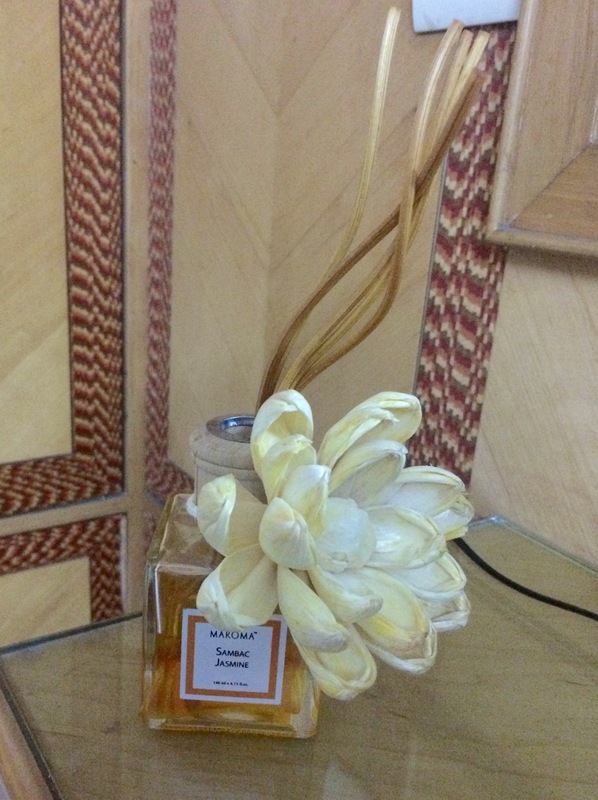 The fragrance is so enticing that it can make me go back to Puducherry just to get my hands on this product.